If you enjoy the homebrew and you want to design your own rotor controler this ARS-Shield will be a piece surely you will need and appreciate. Azimuth and Elevation optional “Signal Conditioner” for rotors that don’t supply 0-5V on their output. 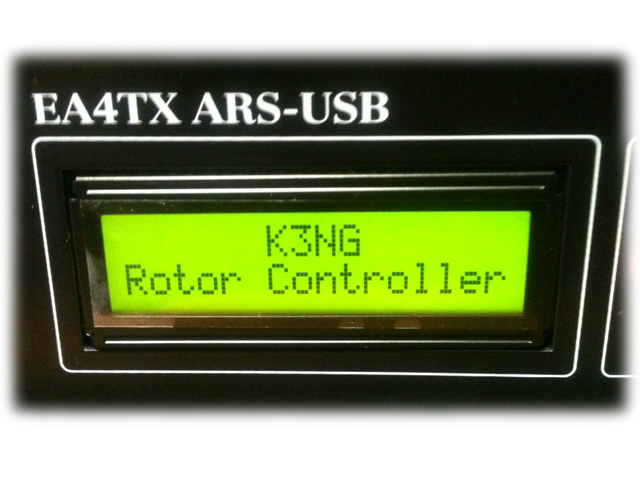 The ARS-Shield can be used with an Azimuth or Azimuth & Elevation rotors. 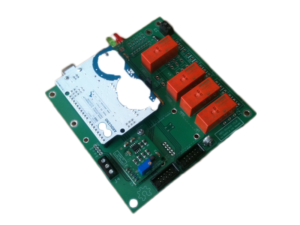 As an extra option, we can supply an aluminum case which fits perfectly the ARS-Shield. 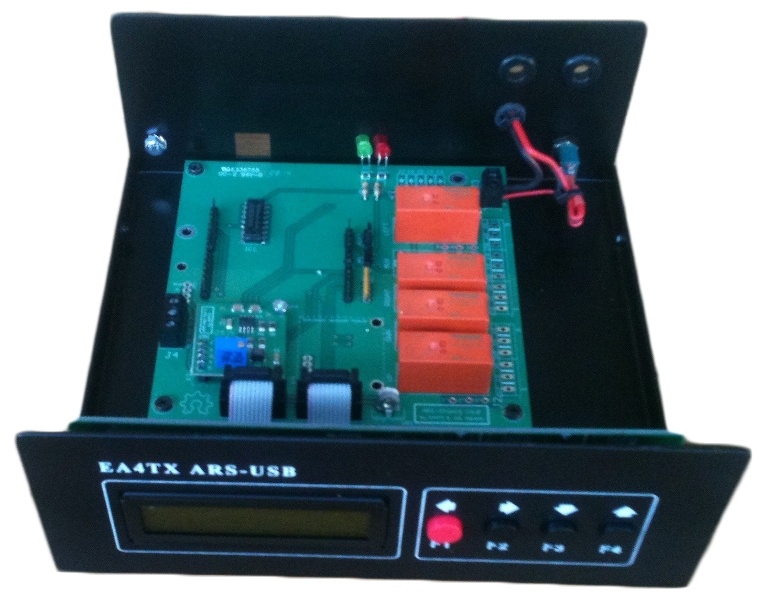 A 16×2 characters Display and 4 buttons are included. 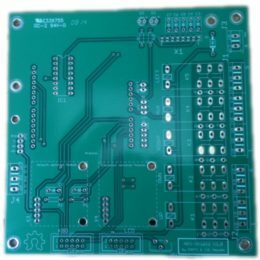 A signal conditioner PCB is also available for those rotors that supply a voltage feedback < 5V or > 5V. 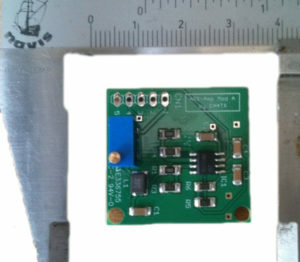 The design includes a Sallen-Key filter to avoid RFI. 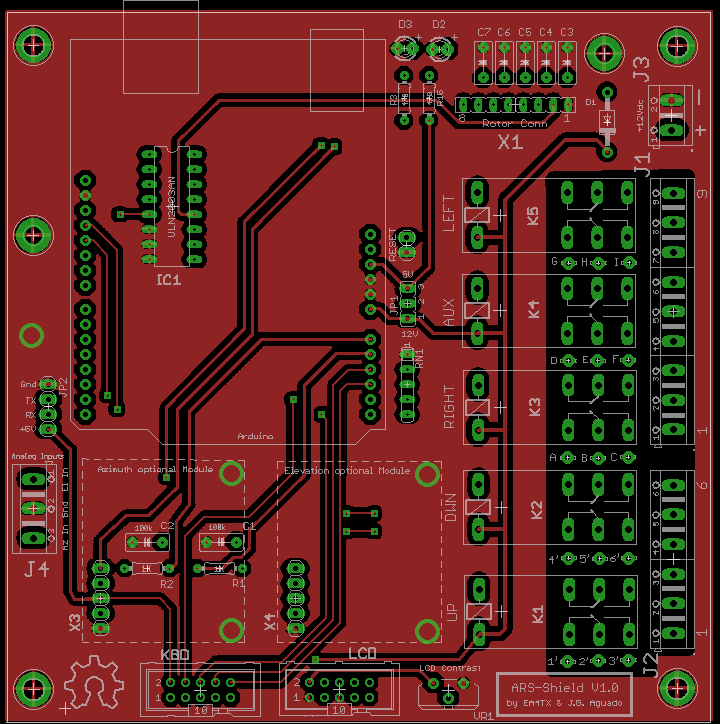 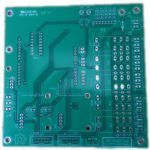 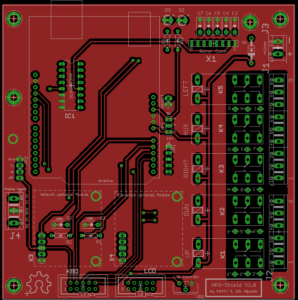 This PCB unit is delivered assembled and tested.